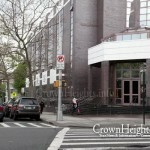 Beis Rivkah of Crown Heights have launched a new alumni initiative in an effort to reconnect and mobilize the past in an effort to help provide for the presently enrolled 2,200 students. Being a Beth Rivkah Alumnus does not just identify the school you went to; it defines an important part of who you are. Being a Beth Rivkah Alumnus identifies you as part of a very select group of women who have been educated and charged with special koichos invested by the Rebbe to be at the vanguard of the Noshim Tzidkonius that will usher in the Geulah. The Frierdiker Rebbe saw his students as the bulwark against the pressure to conform to “America”. America iz nisht andersh, he declared before even disembarking from the ship that brought him to these shores. The Rebbe then challenged and empowered us even more: America is to be seen not merely as a threat, but rather as an opportunity. It is from and through “America” that the home stretch towards Geulah will be led. Indeed, Beth Rivkah alumni and their families are at the forefront of the revival of thousands of communities in over 100 (!) countries throughout the world and, together with their husbands and children, are leading the drive towards Geulah. 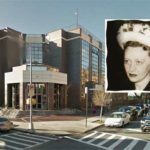 Some seventy seven years after its founding, Beth Rivkah continues to flourish. With Ka”h over 2,200 students presently filling its classrooms every morning, it is bursting at its seams. While we work diligently to address the needs of the present and to plan for the future, we must not forget our past. 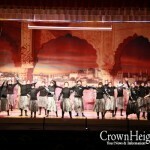 Every one of our alumni carries within her unique experiences and critical pieces of the proud history of Beth Rivkah. 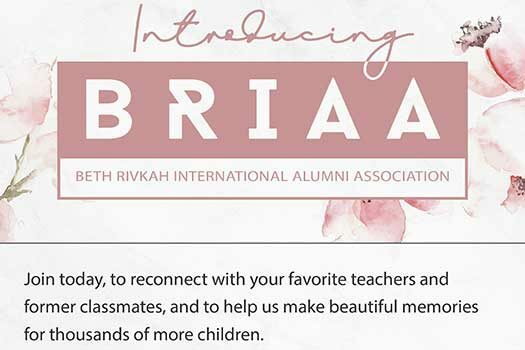 In order to tap into that treasure trove and reservoir, Beth Rivkah International Alumni Association (“BRIAA”) is being launched. Our aim is to create a network amongst all of our alumni and activate the special power and energy it represents. If you were ever a student at Beth Rivkah, please take a few moments to sign up at: Bethrivkah.edu/alumni. “Beth Rivkah is MY school! It’s a part of me and always will be. As a student, I was educated and inspired with lessons of Torah, Chassidus, Hashkofa and knowledge. As a parent, my children were and are educated and inspired with the same. Join today, to reconnect with your favorite principals, teachers and former classmates, and to help us share beautiful memories with the new generations. Become a BRIAA member today! P.S. 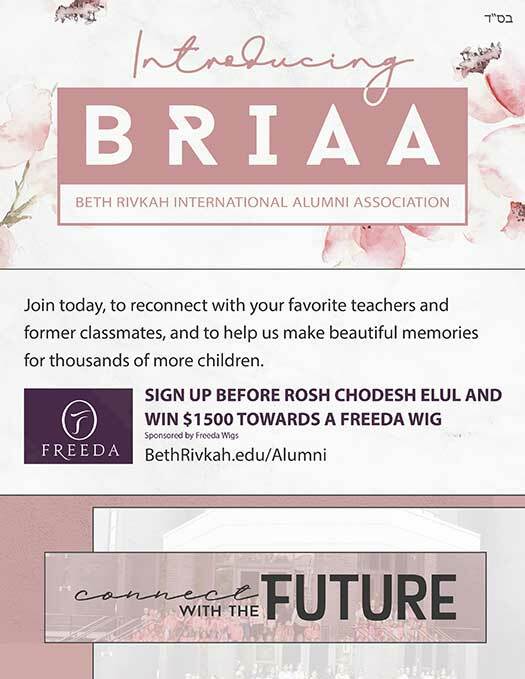 as an added incentive, if you sign up before Rosh Chodesh Elul-August 12, you will enter into a raffle to win a $1,500 voucher to Freeda wigs. This can be great for the next Charidy campaign. It’s no secret that there is turmoil on the board since BR missed a few interest payments to some of the board members who gave loans. They are calling in full loan at this time. If as they claim all are shluchis then they have there own moisdois to support. In addition BR is being very difficult with tuition for out of towners, zero breaks for Shluchim or Koidesh. I would not sign up. Most teachers and all principals don’t even know my name. Unless B.R. has had males who graduated, “alumni” is not the correct word. It’s for everyone. This way they can collect all the info and send out fundraising letters. It always boils down to the money.